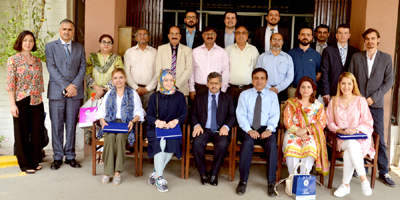 LAHORE: (Tuesday, April 10, 2018): A delegation from Turkey’s renowned and leading eight universities comprising on international office heads, international degree program coordinators and specialists called on Punjab University Vice Chancellor Prof Dr Muhammad Zakria Zakar at his office here on Tuesday. 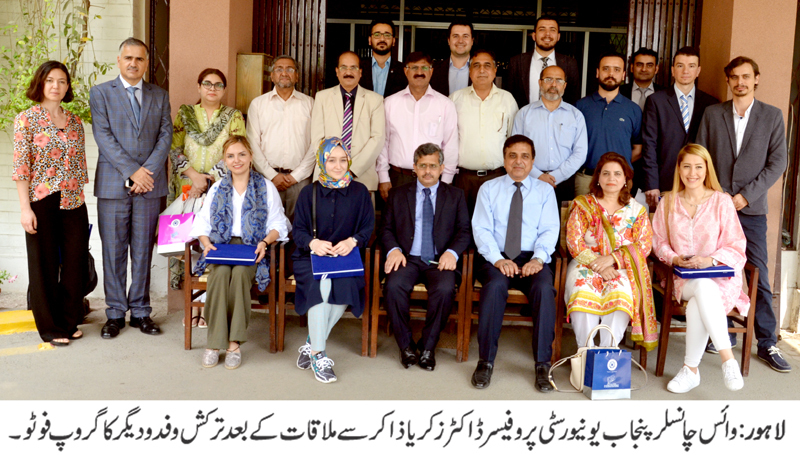 PU Registrar Dr Muhammad Khalid Khan, Director External Linkages Dr Fouzia Hadi Ali, PU Hailey College of Banking & Finance Faculty member Ahmed Muneeb Mehta, deans of various faculties and others were present on the occasion. The vice chancellor gave a brief introduction about the PU and expressed his resolve to enhance mutual cooperation between the two countries in different academic areas. The VC said that the administration aimed at enhancing international connection of PU with world’s leading academic and research institutions. On the occasion, souvenirs were presented to the delegation. The delegates thanked PU VC on providing friendly atmosphere to international students with good opportunities of higher learning and stressed the need to promote academic relations between the two countries.